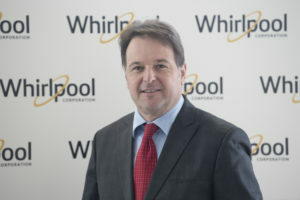 Paolo Lioy has been appointed General Manager Italy at Whirlpool. Currently he is General Manager West Cluster and he will succeed Vittorio Galimberti. Lioy joined Whirlpool in 2004, after previous experiences in Bolton Manitoba and Nestlè, having roles of increasing responsibility both in sales and marketing within the Italian market, and he has a wide international experience also in the Russian markets. “I have the pleasure of congratulating Paolo on this new professional opportunity. I am sure that his consolidated experience, his passion and his commitment will be key factors in achieving the successes we expect”, said Alessandro Perucchetti, Vice President of Market Operations EMEA. Next articleAtelier Appliances: ready to start!